If I was a dog then I think I would like to be a Guide Dog please! They seem to have access to all areas and judging by this sign they are allowed to do things that even the people they guide are not allowed to do. 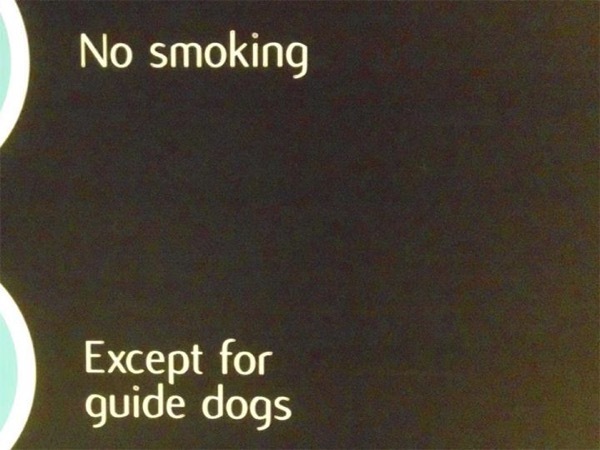 Now I don’t smoke so this exception for Guide Dogs doesn’t interest me, but I know a lot of people who would be envious!